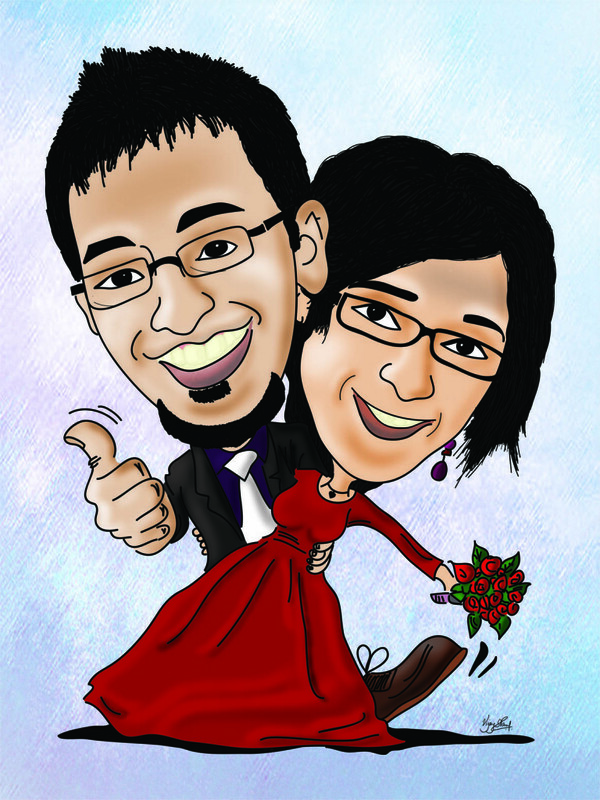 Did this caricature as a Special Wedding Gift for two of my most favourite people in the World – Rohit and Aswini. Since am not too good with drawing faces, took me around 4 hours to get the faces alone. Rest was easier after that. Outlines of the caricature done in Illustrator and rest all colouring and shading in Photoshop.